The BMW i3 is a very intriguing automobile. When driving an i3, especially for the first time, there is much bewilderment as to how it drives and performs so well with what seems like a monumental list of things working against it. Firstly, there’s the ride quality. It’s fitted with these short little shocks, it’s stiffly sprung and it has eco tires, yet the i3 remains surprisingly supple over rough pavement. It can also handle extremely well, too, despite being quite tall and narrow, which is the exact opposite of the recipe for grippy handling. How does it manage to handle and ride so well when, by the looks of it, it has the worst possible recipe to do so? Well the answer lies in two parts, but it’s the second part that’s particularly interesting. Firstly, weight has much to do with it. The i3 is extremely light, weighing less than a Ford Focus. This allows the stiffly sprung suspension to handle any rough pavement with ease, as there is less mass moving about. This also helps in the handling department, as well. A lighter car is a more nimble car. It also helps that most of the weight is down low, in the floor of the car, where the batteries are. Thus, it has the same center of gravity as an Earthworm. So weight is a huge factor in the way the i3 drives. But it isn’t just the extreme weight savings that helps transform the i3 from a little electric hatchback to a back road burner. See, BMW needed to throw out the rule book when designing the i3. And it did that in every aspect of designing the car. That includes the tires as well. 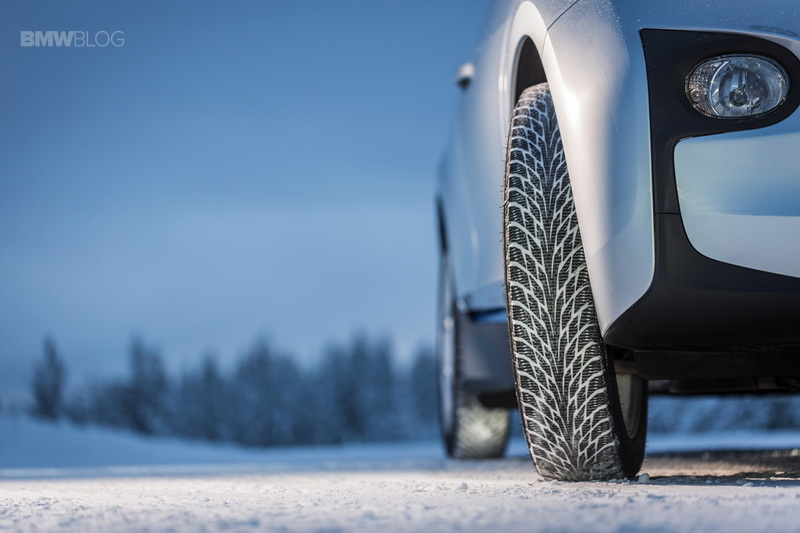 BMW worked with Bridgestone on development of a special tire, designed exclusively for the i3. Now, car and tire manufacturers have worked together numerous times in the past to create bespoke tires for a specific car. This is nothing new. However, what BMW and Bridgestone came up with, was a tire size and compound like nothing else fitted to a car before. Most tire makers, like Michelin and Pirelli, make bespoke rubber compounds for high performance sports cars. Usually, the compound is just super grippy rubber and there’s basically no tread. This way, they can lap the Nurburgring in a time faster than the competitors, even though said tire is useless in even the slightest drizzle. Well that just wasn’t going to cut it for BMW. The i3’s tire requirements were very specific. The tire needed to be narrow and have low rolling resistance , so as to be able to eek out as much range as possible. But narrow and eco-minded tires are terrible for both grip and comfort. So Bridgestone had to invent some new tricks to make these tires both eco-minded and grippy and comfortable. It was quite a task but that’s exactly what they did. The key lies in the size. 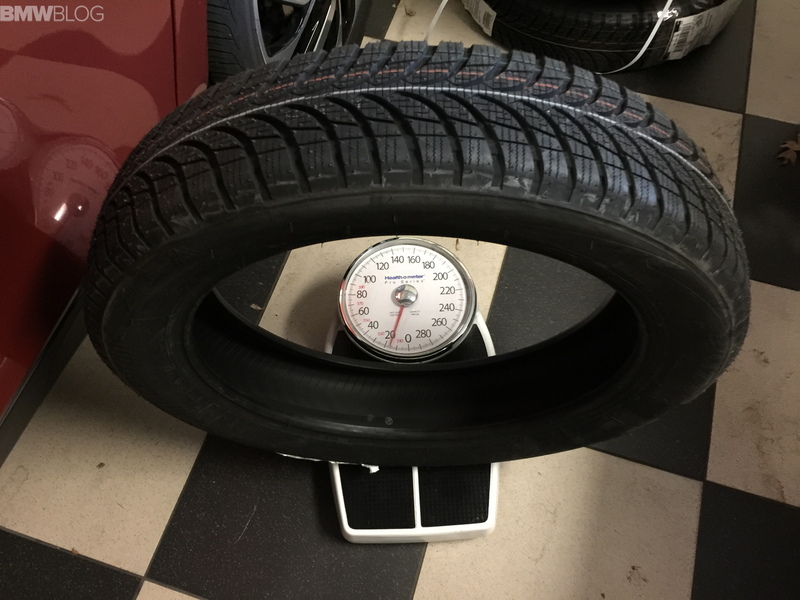 The i3 is the only car on the market with this tire size of 155/70R19. The 155 is in reference to the width of the tire, which is 155 mm. The 70 is the aspect ratio of the tire which, long story short, means how large of a contact patch the tire has with the ground. And the 19 is the size of the wheel (an optional 20 inch is available), in inches, in which the tire fits to. 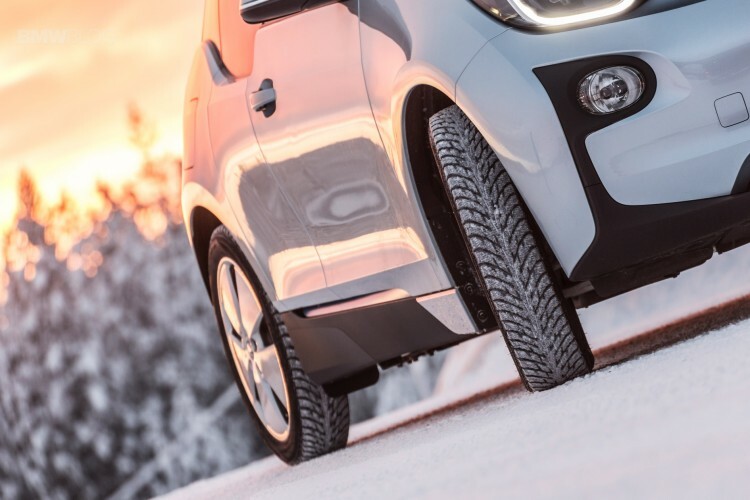 At 155 mm wide, the i3’s tires are far narrower than anything else on the road. They’re motorcycle tire thin. But because they are so tall, sitting on 19s, and have a large contact patch length-wise rather than width-wise, it allows the i3 to grip the road with a similar grip as a much wider tire. Though Bridgestone developed the stock tire for the i3, other companies have been making them as well. Our own Chuck Vossler has been testing out Nokian’s winter tire for the i3, which is the same size, and has reported excellent results, even in snow. So it goes to show that it isn’t just Bridgestone’s tire compound, but the size, that aids the i3 so much. Another benefit of having such skinny, lightweight tires on skinny, lightweight rims, is the lack of unsprung rotating mass. Unsprung mass is any mass that isn’t carried by the chassis of the vehicle, but attached to the outside of it. So brakes, wheels and tires are unsprung rotating mass. So reducing this helps the car ride better, grip better and handle better. It’s amazing how far BMW went to insure that every detail about the i3 was as optimized as humanly possible. With something as simple as wheels and tires, BMW decided to go through the trouble to reinvent the wheel (no pun intended) to make the i3 handle and ride the way BMW’s are supposed to. It’s just another reason, atop the myriad of reasons, why the i3 is the most innovative car on the road.